In its first-quarter earnings update, Netflix disclosed that it signed up 26 million new subscribers in the past year. In the first quarter alone, the streaming giant added 7.4 million subscribers worldwide. Subscriber growth expectations were high prior to the release of the earnings report, but the company’s user growth was much higher than expected in the first quarter. Its earnings met expectations, and its revenue managed to top estimates. Netflix said in its letter to investors that quarterly revenue grew 43 percent year-over-year in Q1, “the fastest pace in the history of our streaming business.” The results of the report caused Netflix shares to jump more than 5 percent in after-hours trading on Tuesday. As of the end of March, Netflix had 125 million subscribers worldwide. The streaming giant reported $3.7 billion in revenue for Q1 and a net profit of $290 million. Its higher-than-expected revenue in Q1 was due to a 25 percent increase in average paid streaming memberships, plus a 14 percent hike in the average subscription price. Netflix previously raised rates on its plans in the U.S. and other territories at the end of last year. Going into the second quarter, the company said it expects 6.2 million global net additions -- an increase of 5.2 million from last year’s first quarter. Netflix expects content spending to hit between $7.5 billion to $8 billion for 2018, which is on par with previous estimates. The company announced earlier this year that it would be focusing on adding more original titles. 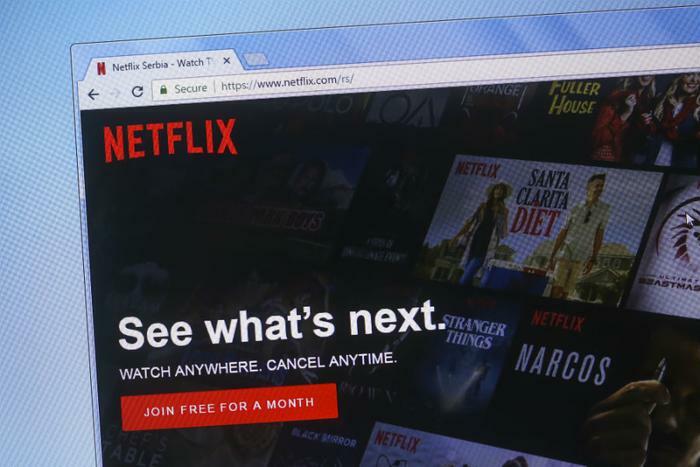 Netflix said it will “continue to raise debt as needed to fund our increase in original content.” As of March 31, the company had $6.54 billion in long-term debt and $3.4 billion in long-term content payment obligations. Netflix says that adding more original series, such as sci-fi thriller “Altered Carbon” and returning seasons of “Marvel’s Jessica Jones,” should help to fuel subscriber growth and retention. “We’re investing in more marketing of new original titles to create more density of viewing and conversation around each title (i.e bigger hit in a nation or demographic),” the company said in the report.